From Amsterdam: Take the A10 and follow the signs Utrecht. At junction “Knooppunt Amstel” take the the A2 to Utrecht. At Utrecht follow the A2 to Maastricht. At junction “Knooppunt Deil” take the A15 to Nijmegen. After 37 km take exit 37 (Andelst). Turn right onto the Wageningsestraat (N836), cross the railroad, ENTRY2MARKET is directly on your left. From Rotterdam: Take the A16 and follow the signs Dordrecht. At junction “Knooppunt Ridderkerk Noord” follow the signs Gorinchem. At the junction “Knooppunt Ridderkerk Zuid” take the A15 in the direction of Nijmegen. After 57 km take exit no. 37 (Andelst). Turn right onto the Wageningsestraat (N836), cross the railroad, ENTRY2MARKET is directly on your left. From Den Bosch: Take the A59 to Nijmegen. At junction “Knooppunt Paalgraven” take the A50 to Nijmegen. At junction “Knooppunt Bankhoef” take the A50 to Arnhem. At junction “Knooppunt Valburg” take the A15 to Tiel. After 4,3 km take exit no. 37 (Andelst). Turn right onto the Wageningsestraat (N836), cross the railroad, ENTRY2MARKET is directly on your left. From Oberhausen: Take the A3/E35 in the direction of Arnhem (A12 after Zevenaar). At junction “Knooppunt Velperbroek” follow the A12 to Den Haag/Utrecht. At junction “Knooppunt Valburg” take the A15 to Tiel. After 4,3 km take exit no. 37 (Andelst). 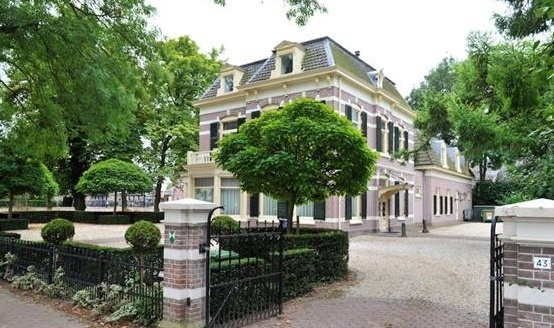 Turn right onto the Wageningsestraat (N836), cross the railroad, ENTRY2MARKET is directly on your left in the white office villa.